In Altamont Gardens in County Carlow, Ireland there is a giant Wellingtonia surrounded by Portugal Laurel. It was planted to commemorate the defeat of Napoleon by Wellington at the Battle of Waterloo in 1815. The Battle of Waterloo marked the final defeat of Napoleon Bonaparte, Emperor of the French. Two of the armies of the Seventh Coalition, the British and Prussian defeated the French Army. It is estimated that over 8,000 Irish soldiers, some of them in Napoleon’s army, fought at Waterloo. There are several monuments to Wellington in Ireland and Great Britain. In Ireland a statue of Wellington stands on a monumental column in his home town of Trim, County Meath. It was erected in 1817. 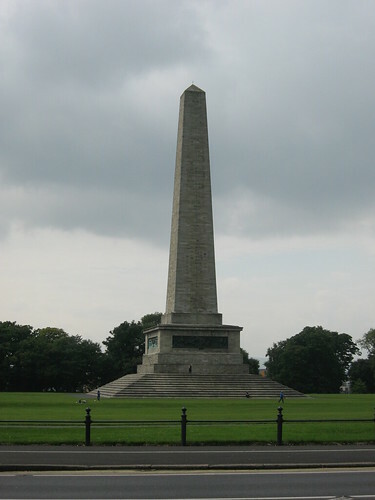 The Wellington Testimonial, commonly known as the Wellington Monument stands in the Phoenix Park in Dublin. It was completed in 1861. Construction of the Wellington Monument began in 1817. The monument, which is an obelisk, is 62m tall. It is the tallest obelisk in Europe. There are four bronze plaques representing Wellington’s career at the base of the obelisk. The plaques are cast from cannons captured at Waterloo. One of the plaques depicts ‘Civil and Religious Liberty’. It was made by John Hogan who was responsible for the monument to Bishop James Doyle (JKL, James Kildare and Leighlin) in Carlow Cathedral. The Wellington Monument in the Phoenix Park, Dublin was opened to the public in the year 1861 On This Day. John Lucas who was born at Clashganny, Borris, Co Carlow in 1826. He was serving as a Colour Sergeant with the 40th Regiment of Foot of the British army in New Zealand in 1861. Colour Sergeant Lucas and his party were acting as skirmishers on the Western side of the North Island of New Zealand during the Taranaki-Maori War. They were ambushed at Huirangi Bush and three of the party were wounded. For his actions during the ambush Lucas was awarded the Victoria Cross. Lucas was presented with his Victoria Cross at Ellerslie Racecourse, Auckland, New Zealand on October 1st 1862. He was later promoted to the rank of Sergeant Major. When Sergeant Major Lucas retired from the British Army he returned to Ireland. He lived at ‘The Lodge’ Parkgate Street Dublin, the main entrance to the Phoenix Park, until he died on February 29th 1892 at the age of 66. 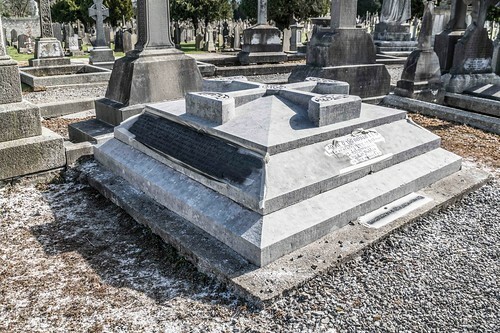 He is buried at St James cemetery on James’s Street in Dublin. His Victoria Cross is held at the South Lancashire Regiment Museum in Warrington, England. John Lucas was awarded the Victoria Cross for his gallantry during an engagement in New Zealand which occurred in the year 1861 On This Day. P J McCall was a songwriter and poet who was a native of Dublin, Ireland. His father John was from Clonmore, Co Carlow and his mother Eliza May Newport was from Rathangan, Co Wexford. Apart from his writing McCall also collected several old Irish airs. 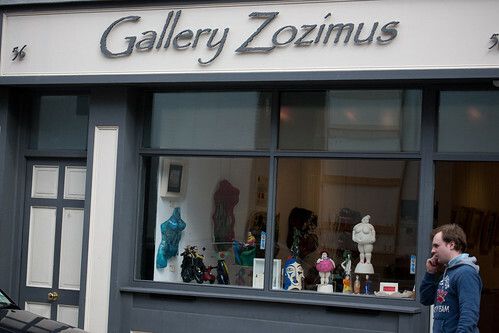 Patrick Joseph McCall was born and raised at 25 Patrick Street in Dublin. His father was a historian, folklorist, writer and patriot who ran a public house and grocery shop on Patrick Street. P J went to school in St Joseph’s Monastery, Harolds Cross and spent his summer holidays in Rathangan in Wexford. Living among the people of Rathangan he heard the ballads and music of the locality. P J McCall would later become famous as the author of songs such as: ‘Follow Me Up to Carlow’, ‘The Boys of Wexford’, ‘Boolavogue’, ‘The Lowlands Low’, ‘Kelly the Boy from Killanne’ and many other ballads. ‘Follow me up to Carlow’ celebrates victory by Fiach McHugh O’Byrne over an English army of 3,000 soldiers at the Battle of Glenmalure in 1580 and ‘The Boys of Wexford’, ‘Boolavogue’ and ‘Kelly the Boy from Killanne’ were written to commemorate the 1798 Rising. P J McCall, the composer of songs such as, ‘Follow Me Up to Carlow’ was born in the year 1861 On This Day. John O’Donovan, Irish language scholar and topographer, was a native of Co Kilkenny, Ireland. He carried out research on Irish place names for the Ordinance Survey of Ireland when the survey was being conducted during the 1830’s. He published several works including a grammar of the Irish language in 1845. John O’Donovan was born in Atateenmore near Slieverue in South Kilkenny on July 25th 1806. He grew up on the family farm. In 1817, when he was eleven years old, his father died and John moved to live near his uncle who was an Irish speaker. He was educated at Hunt’s Academy in Waterford City. O’Donovan moved to Dublin where he taught at a school on Arran Quay. In 1827 he was offered a teaching position at St Patrick’s College in Maynooth which he declined. Instead he accepted a post researching state papers at the Public Records Office. While working there he taught Irish to Thomas Larcom, an engineer from Gosport in Hampshire, England who had been transferred from the Ordinance Survey of England to the Irish Ordinance Survey. Larcom would later become Under-Secretary to the Lord Lieutenant of Ireland. In 1824, the surveyor Thomas Colby, was appointed by Thomas Larcom to carry out the Survey of Ireland. In 1830 O’Donovan was recruited by Colby to research Irish place names for the Ordinance Survey of Ireland. 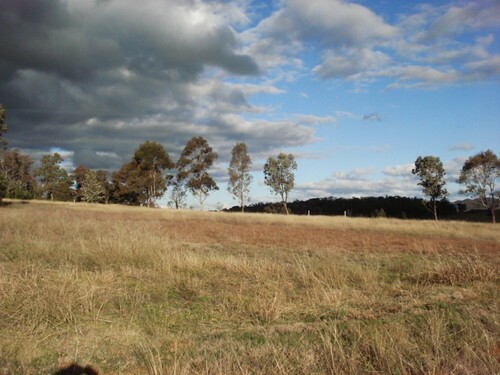 The survey was the most detailed ever undertaken and was completed in 1846. During his time working on the survey O’Donovan travelled all over Ireland researching place names. When a townland was identified it was O’Donovan’s task to give it the correct Irish name. Following this however he Anglicized the name when it was being placed on the map. Following his work with the Ordinance Survey, John O’Donovan was appointed professor of Celtic Languages at Queen’s University, Belfast. He was called to the bar in 1847. His many works include: Grammar of the Irish Language and a Translation of the Four Masters. He was awarded an honorary LL.D from Trinity College Dublin in 1850. In 1856 he was elected to membership of the Royal Prussian Academy. His election was on the recommendation of Jakob Grimm of the Brothers Grimm who were authors of fairy tales like Cinderella and Rumpelstiltskin. 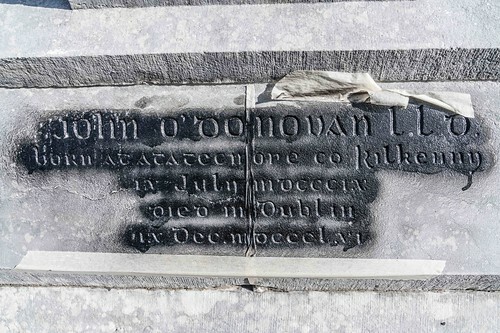 John O’Donovan died at his home, 36 Upper Buckingham Street, Dublin, at the age of 55 in the year 1861 On This Day.